Oakville firefighters performed a rope rescue early Tuesday evening to reach a 15-year-old boy who was on a side of a cliff in Wildwoods Park. Fire crews and paramedics were called to the scene, near Dorval Drive and North Service Road West, just before 6 p.m. 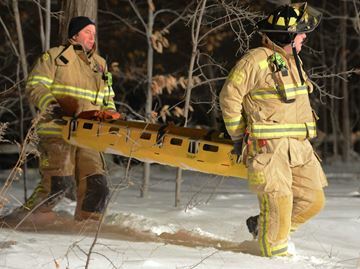 The rescue last approximately 1.5 hours, and the teen was transported by paramedics to Oakville-Trafalgar Memorial Hospital for a possible case of hypothermia.